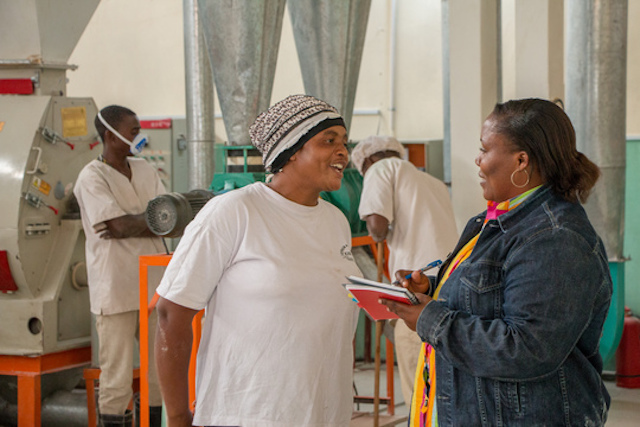 In sub-Saharan Africa, TechnoServe is helping food processors to fortify their foods and build nutritious, productive, and prosperous futures for their communities. Across sub-Saharan Africa, “hidden hunger” – a form of undernutrition caused by micronutrient deficiencies – affects millions of people, with lasting implications for their health (particularly for women’s and children’s development), productivity, and prosperity. Fortifying oil, flour, salt, and sugar with micronutrients – including iron, folate, iodine, zinc, and Vitamin A – has been proven to be one of the most scalable, sustainable, and cost-effective tools to combat malnutrition. TechnoServe has prioritized mobilizing the private sector around this issue because of the key role that food processors play in ensuring that widely-available staple foods are adequately fortified with basic nutrients and vitamins. Funded by the Gates Foundation and implemented by TechnoServe and Partners in Food Solutions (PFS), the Strengthening African Processors of Fortified Foods (SAPFF) project is working with food processing companies in Nigeria, Kenya, and Tanzania to strengthen their ability to produce and sell fortified foods for local markets. But what does it look like on the ground to catalyze this type of sector-wide change? According to a policy guidance document for national food fortification programs – developed by the Global Alliance for Improved Nutrition and published this year with guidance from TechnoServe’s director of food processing and nutrition, Brent Wibberley – even for countries where food fortification is a government mandate, less than half of analyzed food samples were compliant with specifications. During initial reviews of processing plants, TechnoServe staff identify key areas for improvement and "quick wins" that can help to motivate management for larger investments and changes to their operations. In Tanzania, GAKI Investment Company Limited – a family-owned cotton seed oil factory that has been providing SAWA cooking oil to the nation’s lake zone region since 1996 – lacked the technical knowledge and capacity to conform with the government’s requirement that cooking oils be fortified with Vitamin A. Banned from the market in 2017 following an audit by the Tanzania Food and Drugs Authority (TFDA), GAKI’s stock of 200 metric tons of packed oil (worth 600 million Tanzania shillings) remained at the plant until it could be fortified. That same year, TechnoServe began working with the TFDA as a key partner through SAPFF and performed an assessment of GAKI’s operations and business model to identify the cause and solutions for their inability to fortify their cooking oil. For GAKI, the path to fortification was daunting – they lacked the technical knowledge, equipment, and contacts to source Vitamin A, purchase and install a fortification unit, and properly implement the fortification process once these crucial components were in place. With years of experience supporting food processing business, TechnoServe teams knew that generating “quick wins” is essential to fostering the buy-in that businesses like GAKI need to make larger, longer-term investments and changes, such as purchasing new equipment, and developing and maintaining new processes. For GAKI, the first step was getting their valuable backlog of stock back on shelves as quickly as possible, and SAPFF teams quickly identified four suppliers of Vitamin A and helped to negotiate a tenable price for the processors. With a solid procurement system in place, SAPFF technical experts advised GAKI on purchasing compliant equipment, and devised an efficient process flow that would ensure these additional steps in the production process remained cost-effective and easy to maintain. 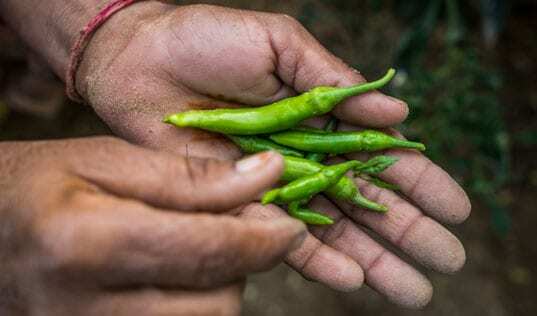 Through these efforts, GAKI is on the path to establishing a competitive, sustainable model that allows them to provide vital nutrients in their region while making business sense for the company – a win-win for GAKI and the consumers they serve. After a training session led by TechnoServe staff, employees of Musoma Food Company volunteered to be ambassadors for food fortification within their communities. For Musoma Food Company – the leading processor and distributor of high-quality maize flour and rice for Tanzania’s Lake Zone – local demand, rather than supply, limited their impact on local nutrition. As an exporter to their regional neighbors – such as Kenya, Uganda, Rwanda, Burundi, and South Sudan – Musoma already operated along stringent quality standards and control, from the selection of their raw materials to the organization of their suppliers, and processing of the finished product. The SAPFF team’s analysis led to recommendations for scaling the volume and competitiveness of Musoma’s fortification, as a lack of available equipment had limited the company to using small-scale fortification technology. Yet conversations with the company’s CEO, Saidi Makilagi, revealed a more significant and nuanced barrier to improving local nutrition. 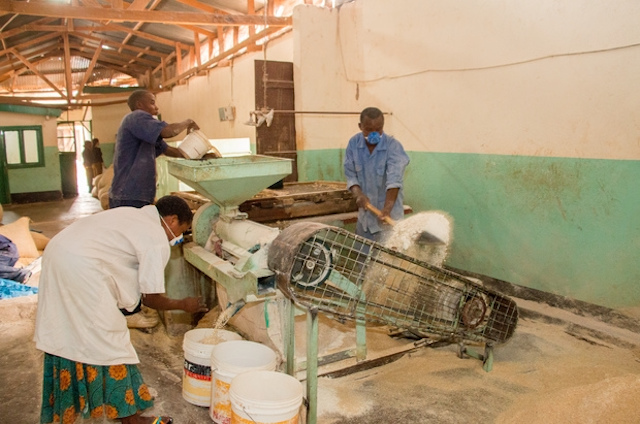 Due to a lack of education on the nature and benefits of food fortification, many local residents – and even Musoma employees – preferred conventional flour, fearful that the additives added during fortification could be harmful. 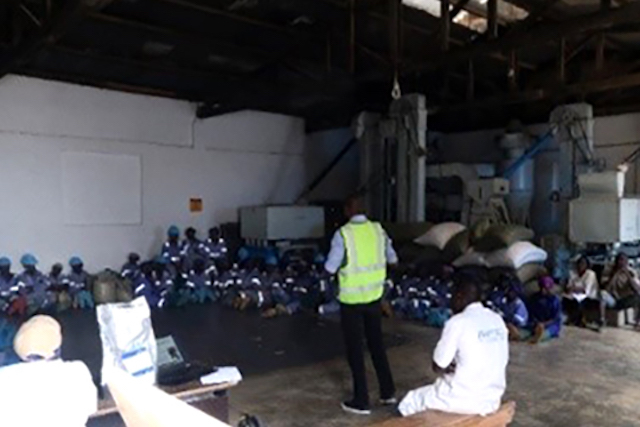 The SAPFF team organized a training for Musoma’s management and 40 employees, explaining the benefits of food fortification and the important work they were doing by providing their communities with quality, nutritious foods that could be easily accessed at their local stores. Leaving work that same day, some employees even bought fortified maize flour for their families, and all expressed a commitment to serving as ambassadors of fortified foods in their communities. In Tanzania, the SAPFF team is bridging the gap between large-scale solutions and the on-the-ground realities to lay the foundation for fortification success. 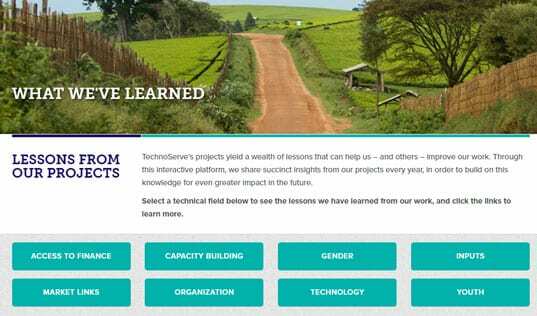 Learn more about TechnoServe’s work to leverage business solutions for nutritious and prosperous futures.